Did you know that leaving your garage door unattended for long may cause serious damage, so much so that it can prove accidental? Hence it is always advisable to keep an eye on the status of the garage door. Most of the garage companies in Southlake Tx would suggest you get the regular maintenance done for your garage door. You can contact Southlake Tx Roofing Pro for this. We are a team of proficient workmen who know how to repair and install different types of garage doors. Whether its manual door, automatic or hydraulic, all these doors are susceptible to a problem over a period of time. Make sure that you contact us in case of need. Well, if you are not aware of the garage doors and want to check whether the door of your garage needs some repair, then read ahead. • Noise While Opening and Closing The Door- Irrespective of the type of garage door you have got if you notice some strange noise coming while opening and closing the door, you must contact the garage door company in your vicinity. • No Response to Door Opener- The garage door opener is one of the susceptible to a problem as compared to other parts of the door. Lack of response to the door opener can be because of a shift in the wiring or some problem in the circuit. Contact, a professional to get the door repaired. • Excessive Force While Opening The Garage Door- If you have a manual garage door or hydraulic ones while opening it if you have to exert some extra pressure as compared to the normal times, then it is an alarming sign. It shows that the door needs maintenance or replacement. 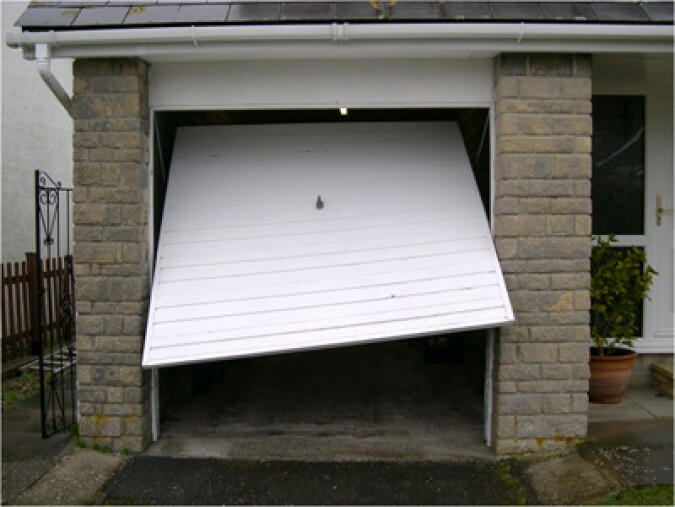 • Track Misalignment- Modern garage doors generally move seamlessly. However, as they get older, you may notice the tracks start appearing worn out. Note this sign. You would be able to easily spot it or it surfaces over a period of time. In either of the situation, if you notice any such sign, contact a nearby garage door repair service provider. Remember, garage door just like other things needs regular maintenance. They tend to get worn out over a period of time. Getting them checked in time will save your money that would otherwise go in repairing or replacing the same.